Want it by Wednesday 24th April? Order within 10 hours, 58 minutes and choose Special Delivery 24 Hour Delivery (Signature Required) at checkout. 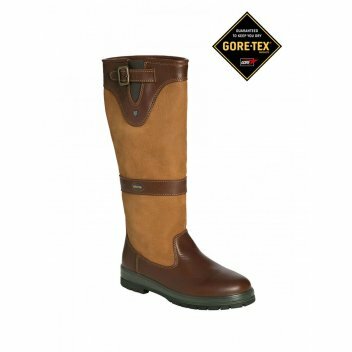 The Dubarry Tipperary Country Boot is a well-established favourite: a knee length waterproof and breathable boot with an adjustable buckle top and Lycra insert for a perfect, snug fit. Dubarry boots are recognized, respected and loved countrywide for their comfort, protection and style. Expertly hand-crafted and built to last: this boot will see you through all seasons in the country side for many years to come.